ARB Teak products are made from responsibly harvested grade A' teak - dried to perfection and beautifully finished. Our solid teak utility hook is ideal for "wet" applications. Command Large Towel Hook allows you to keep towels or robes off the floor, and hung up neatly so that they can dry in-between uses. The hook stands up to hot, wet and humid environments and sticks to a variety of surfaces, including glass, mirror, tile, fibreglass, wood and painted surfaces. Tested and proven to hold better than suction cups, it is easy to apply and come off cleanly without damage. Repositioning is easy with assorted water resistant refill strips. Great for bathroom organization including guest and kids' bathrooms, renters and dorm life! Inspired by geometric designs found in mid-century modern furniture, Arzo makes a bold statement in understated fashion. Getting ready in the morning is far from routine when you are surrounded by a bath that reflects your personal style. Sometimes accessories make all the difference and that's why Delta offers a variety of bath accessory items. From towel bars to robe hooks, we've got what you want. 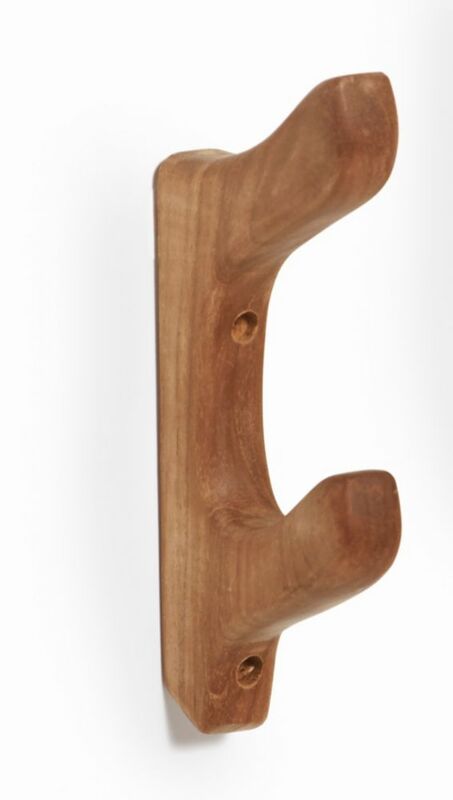 Towel Hook ARB Teak products are made from responsibly harvested grade A' teak - dried to perfection and beautifully finished. Our solid teak utility hook is ideal for "wet" applications.